Much like most things – no 2 driveways are exactly alike! There are many different types of materials used in concrete and the difference can have a major impact on the way the concrete looks like when it is clean or dirty. Pressure washing driveways in Katy is a specialty of ours and we have cleaned hundreds of driveways, walkways and sidewalks over the years! As an example, the foundation of your home is made of some of the highest strength concrete available, as are concrete structures like parking garages and buildings. These are expected to hold up under extreme conditions and failure is simply not an option so they are often much stronger than they really “need” to be. 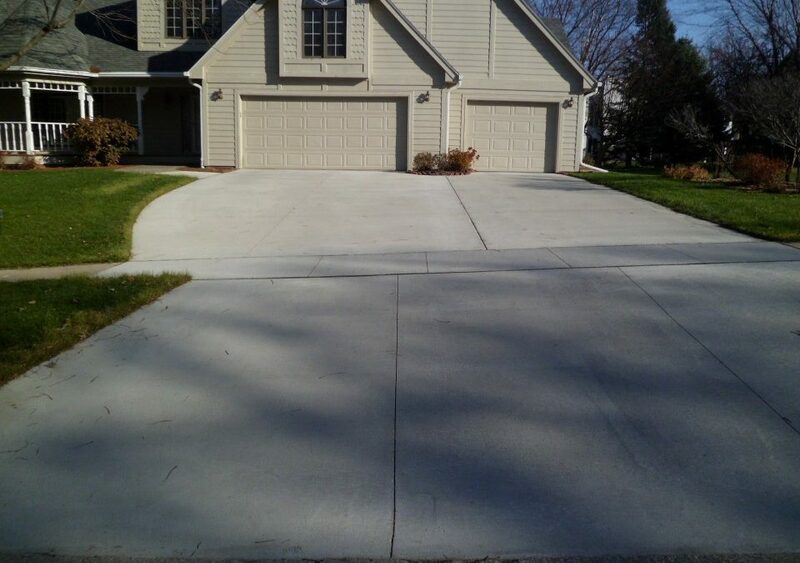 Driveways are very strong as well – generally 6″ thick. 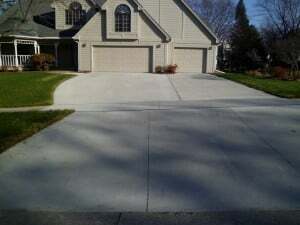 Now these are newer standards to older concrete may not meet the same standards as you can often see at the end of driveways where the curb and driveway meet and the concrete is broken and crumbling. Sidewalks and patios generally only need to be 4″ thick and because no heavy vehicles will be driving on them. The primary concern with sidewalks and walkways and patios is usually settling and tree roots. These can become very problematic as the tree grows and the roots begin to spread out. Another thing that is important to consider is whether the concrete has a “cream coat”. This is a milky looking liquid sprayed on new concrete to help it cure. If you pressure wash it too soon with too high of pressure you can very easily take off some of the cream coat and it is impossible to fix – don’t do this! Recognizing the “cream coat” is not as simple as it may seem and knowing how much pressure to use is essential if you think the coating may be susceptible to coming off. Sometimes we opt not to use our surface cleaners in this case and will wand the concrete instead to be on the safe side. In most cases we can still use the surface cleaner by using what I call the “carpet cleaning method” to minimize the possibility of cutting lines into the cream coat.